How to create a project/folder? Go to the Manage> Projects. Click on +Add and then select Add new project. Assign a name to this project and select a folder for the new project. Confirm by clicking Create Project. Click +Add and then select Add new folder. Assign a name to this folder and select a folder for the new folder. Confirm by clicking Create Folder. 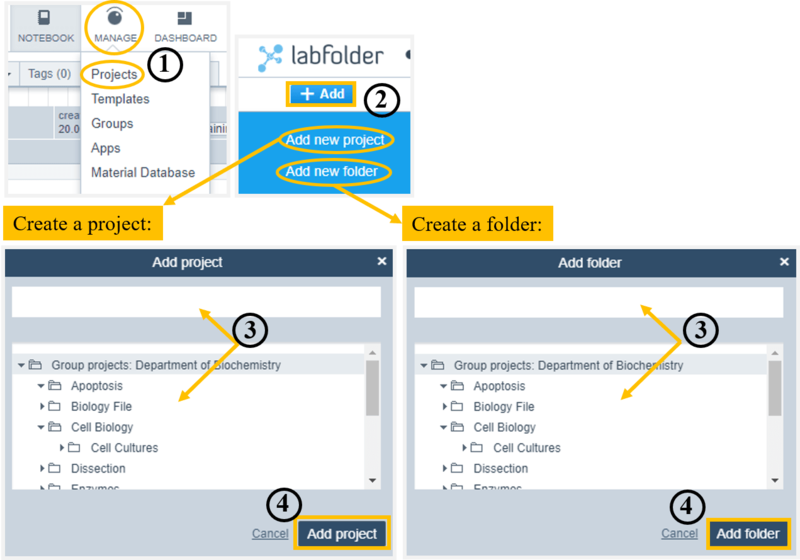 After creating folder(s)/subfolder(s), you can move projects between folders.